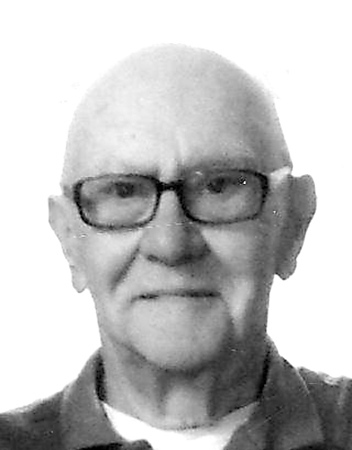 Robert W. Girolomoni, 81, of New Britain, husband of the late Joanne (Lattarulo) Girolomoni, passed away Friday, Feb. 8, 2019, at Grandview Rehabilitation in New Britain. A native and lifelong New Britain resident, son of the late Vito and Nina (Donnini) Girolomoni, he was a graduate of EC Goodwin Technical School and was a tool and dye maker at Royal Machine in Berlin, until his retirement. Robert was a member of St. Ann Church in New Britain and a member of the former Marchegian Society. An avid fisherman, he also loved trips to the casino. Surviving is two daughters, Susan Girolomoni and her fiancé, Mark Rocha of New Britain, and Lynn Aivaz also of New Britain; a former son-in-law, David Buckwell of New Britain; two grandchildren, Lindsay Buckwell of Chicago, Ill., and James Buckwell II of New Britain; several nieces and nephews. Besides his wife Joanne, he was predeceased by a sister, Frances Firetto. Funeral services are Monday, 12 p.m. at Carlson Funeral Home, 45 Franklin Square, New Britain. Entombment will follow in the St. Mary Garden Mausoleum. Calling hours are Monday morning, from 10 a.m. until the time of the service. Please share a memory or note of sympathy at www.carlsonfuneralhome.com . Posted in New Britain Herald, on Friday, 8 February 2019 18:24. Updated: Friday, 8 February 2019 18:27.